During the first week of June, Duval County Superintendent Nikolai Vitti sent robo-calls to parents' phones that there would be additional police presence and possible searches and other security measures. Thomas Johnston spoke during the public comments portion. 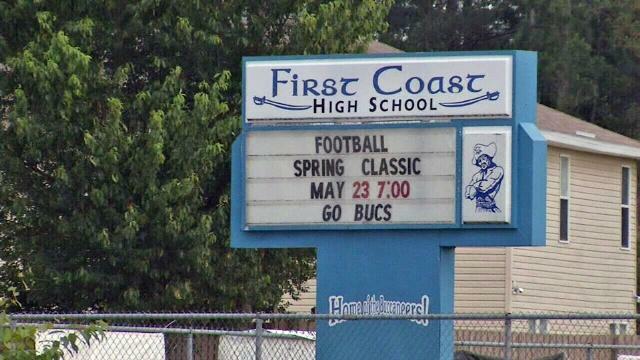 He said he went to First Coast and so have his two kids. He says the school disciplines with slaps on the wrist. Superintendent Nikolai Vitti says that concern is due to loopholes he’s identified in the Code of Conduct. He says those are being worked out now. Although some speakers pointed fingers at the school’s administration, Vitti says he will not be changing leadership at the school. Dr. Alvin Brennan is principal at First Coast and Vitti says he’s one of the best in the district. “[Principal Brennan] is a Veteran, a proven leader,” Vitti said. Vitti says he’s working hard to get Brennan the staff and tools he needs. Vitti says he’s not surprised so many people came with concerns about school safety and he says he believes rumors paired with real violence in the community have led to this outcry. “I look forward to translating the disappointment that’s in the First Coast community to action,” Vitti said. He says he plans to start the action by getting the community and parents together to start a conversation. The Duval County School Board is set to vote tonight on a set of zoning changes and magnet school designations sought by Superintendent Nikolai Vitti. 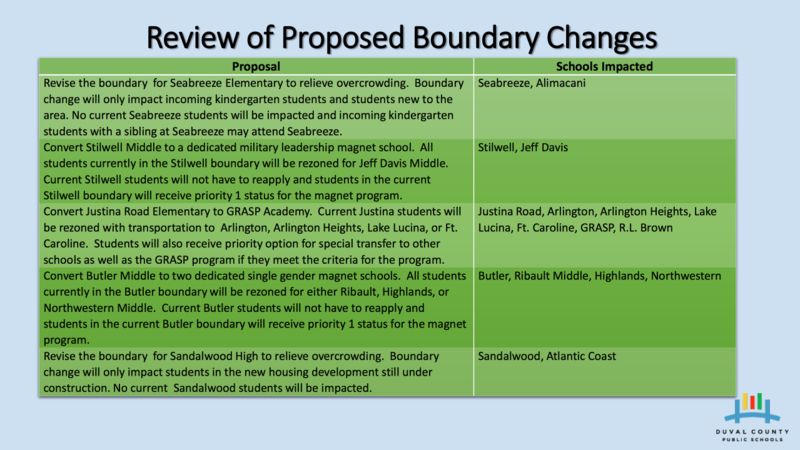 Current students at the affected schools will get priority when applying for the new magnet programs.